LegendBlog: What exactly is the Ohio Skate University and how many people does it consist of? Ohio Skate Univ: Ohio Skate University is a website that primarily promotes skateboarding in Ohio. It is only me running the site right now and I started it to try to shed any stereotypes that might be associated with Ohio. The only thing people really know about Ohio is Lebron. People in Ohio have a bad perspective of the state too, you will always hear people say they need to move cause nothing ever happens here. The summer I started, most of what I posted were events going on. Not everything is advertised well and information is hard to find so I try to pull everything together so people can go to one place and find everything they would want to. I want to show people how many people are killing it out here and the footage comes from all over the state. I also want it to be a resource for parents of kids who want to skate, I want them to be able to find the nearest skateshop and/or park and be able to check the places out and if they have any questions, I’m not hard to contact. I try to answer every e-mail, comment, message, etc… I’m also e-mailing cities every once in awhile to talk to them about keeping parks open or getting parks built. There are some blogs in other states starting up that are kind of following what I’ve built up so far, so hopefully that means I’m doing something right. I’m just hoping that I can shine a light on the talent we have here and open up a forum for people to be discovered. LegendBlog: When did the Ohio Skate University begin? Ohio Skate Univ: I started it a couple days after Go Skateboarding Day 2009. For those who might not know, Go Skateboarding day is a sort of global holiday for skateboarders on June 21st each year. Events are held all over the world and the idea is to get every skateboarder just out skating, kind of a show of hands for the skateboarding community. I found out about a couple events that weekend so I just went out and took pictures and wrote short articles about them. One event was Drama, from Rob & Big and Fantasy Factory, signing autographs. I got to talk to Rob Dyrdek’s dad and we just talked about different things happening in skateboarding and he told me about Rob training to ride a horse and how they were going on vacation to Myrtle Beach to film pretty soon, so that made the latest season of Fantasy Factory fun to watch. The other was a demo put on by a skateboard company called 1031. It’s owned by Kristian Svitak, who has been a professional skateboarder for around ten years and he is from Cleveland. He came out to the shop he was sponsored by and the put on a demo and they killed it. I got to talk to Kristian for a second and he just seems like a real cool dude and alot of kids in Ohio are pretty hyped on 1031 now cause of the demos he puts on. They are touring again this winter and are coming through Ohio for a couple days in February. LegendBlog: How would you describe Ohio’s skateboarding scene? Ohio Skate Univ: It’s just a huge scene, there really are small towns with nothing in them that people are just skating curbs just to have fun and then on the opposite side you have the people in big cities just killing everything in sight. Some of my personal favorites that I’ve featured on my site would be this crew from Columbus that does these series of videos called Lazy Sunday” and “Polished Terdz, a crew from Cleveland who run a site called The Woodpushers, they are motorcycle riding bowl skaters who rip, and Dave Ackels films this series called Absorb and they are longer videos that showcase kids from around Dayton who are destroying the DC Skateplaza and local scene but they have an artsy quality to them. Skate In Dayton is also killing it. There are too many people to name but those are just some of my favorites. LegendBlog: What music artists are popular in Ohio right now? KiD CuDi is obviously big right now, he is originally from Cleveland. 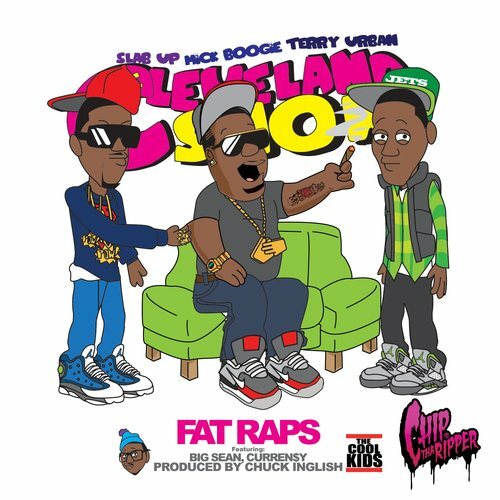 I just did a post on Chip the Ripper from Cleveland and the mixtape he just put out is really strong. I personally listen to alot of hip-hop so I couldn’t really tell you about the band scene. There are a good amount of underground rappers in Ohio and that’s something I’m going to try to shine a light on, as well as some bands, so if anyone keeps up with the blog they will be introduced to different styles and lesser known people. In the videos I post everyone has different styles of music to accompany their edits and I have even had one where someone did an edit with a country song, which is something I’ve never seen before, so we have everything covered here. I’ve got to mention Bone Thugs & Harmony, they are legendary in the rap game and have held Cleveland down for years and Hi-Tek holds down Cincinnati and is a top producer. LegendBlog: How many skateparks are there in Ohio? Name a few of the top parks in Ohio. Ohio Skate Univ: I just launched a directory last month of skate parks and I had well over 100 and I know that isn’t all of them. I know of a few I’m missing but the directory is open for anyone to let me know about parks or shops. I’ve gotten a couple e-mails asking me to add things. Evolution Skatepark is Canton is full of rippers, Chenga in Brookpark is really popular, Sessions and Ollie’s are the parks to go to in Cincinnati, Flow in Columbus, Delaware’s park looks fun. I can’t forget to mention parks that are considered skateboarding “Meccas”; The DC Skateplaza in Kettering and Skatopia in Rutland, they are complete opposites, one is all street and the first of its kind and the other is all bowls and vert ramps. Skatopia is famous for complete chaos, it is on an 88 acre farm and they started from scratch to make this park and now they have a skateboarding museum that is full of classic boards. They are doing a great thing out there. Every skater should try to make a trip to both of those parks. 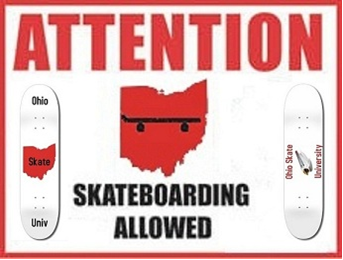 LegendBlog: Are there alot of skateshops and sneaker boutiques down in Ohio? If so, a few of the top stores? Ohio Skate Univ: Yeah, skateshops are a part of the directory too. Like I said before, I’m trying to make as much of the scene accessible to everyone as possible. I’m backing every shop in the directory because they all serve a purpose and a population. JP Skateshop in Delaware has a crop of young kids that are going to contests and doing well and they are under 10 years old, so skateboarding has a bright future in Ohio. 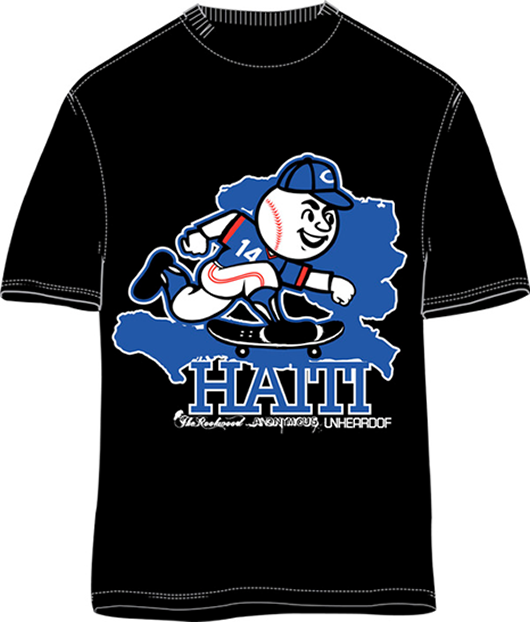 Off the top of my head, Demented Skateshop in Cincinnati has a sick team, Anonymous(Cincinnati) is working on a shirt for Haiti which the graphic is tight. Embassy (Columbus) is affiliated with the crew that makes the Lazy Sunday videos, Ohio Surf and Skate and Westside are holding down Cleveland, and One Love is holding down Kettering/Dayton. I couldn’t possibly mention all of them but I support them all 100%. If a shop is putting out any footage, it is on my site. As far as anything like a sneaker shop, I’m not a sneakerhead myself but I’ve gotten to talk to a store in Cincinnati called Unheardof and they carry all of the hip-hop fashion type items and they have a pretty good collection of shoes. Unheardof is definitely supporting their local scene. They are also involved in the Skate 4 Haiti shirt that Anonymous is doing, along with a restaurant called The Rookwood. If you go to Cincy and hit any of these spots, tell them I sent you. LegendBlog: Every corner of the globe has their own trends. What are some of the popular skate clothing brands down in Ohio? Ohio Skate Univ: Skateboarding is a sport that prides itself in individuality so the spectrum of fashion that skaters are a part of is diverse. You see alot of kids wearing DC and stuff like that, but usually if skaters wear anything skate-related it depends on who their favorite companies are. There are a few clothing companies that are skate brands or affiliated. Jakprints in Columbus has sponsored events and made shirts for people. I’ve been talking to a company called BoardKarma that is also based out of Columbus. LegendBlog: Who are some of the top skaters to come out of Ohio? Ohio Skate Univ: I’m going to start off by saying Nick Mullins. Nick is from Toledo and awhile back he got a staph infection which resulted in him being in a coma and a 1% chance of survival. He has bounced back and is starting to skate again but he is blind in one eye and the other eye has very limited eyesight. He is still skating better than alot of people and just has an amazing natural ability and style to him. His story was featured on The Berrics, which is a website that’s content is based around this private skate park in a warehouse owned by professional skateboarders Steve Berra and Eric Koston. I would imagine it is the most popular skateboarding website in the world. They had Nick Mullins Day where they had two videos, one of Nick’s back story and one of Nick skating edited by Nick’s filmer Steve Staffan. It kind of took the world by storm and now The Berrics sell shirts and hoodies with 1% on them to help pay Nick’s medical costs for his previous surgeries and ones he has yet to have. So if you have the money, you should go buy them. It’s easy to tell that we are all going to be seeing alot more from him in the future. Be on the lookout for Taylor Nawrocki, I’ve been seeing alot of him lately. He is apart of the Lazy Sunday crew. Gage Smith has put out some sick footage and did well in the Columbus stop of the Gatorade Free Flow tour this past summer. Clay Stein is another good one. Other skaters from Ohio would be: Rob Dyrdek (Kettering) of course, Kristian Svitak (Cleveland), Chad Knight (Columbus), Alex Davis (Cincinnati), I’ve recently become a fan of John Drake. I don’t remember where he is originally from in Ohio but he used to skate for Alien Workshop(based out of Dayton, along with Habitat skateboards which are under the same parent company) and he runs this blog where he showcases some of his photography which I like. Chad Muska lived in Lorain for short period when he was younger so I don’t know if that really counts. There are others but that should sum it up. 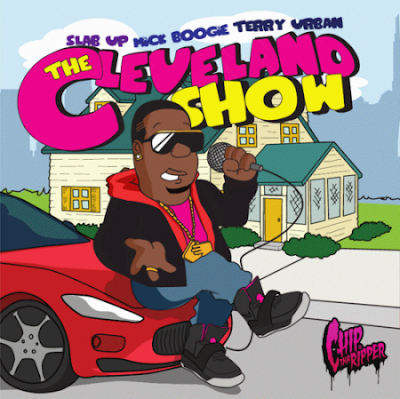 The Cleveland MC Chip the Ripper recently dropped his latest Mixtape entitled The Cleveland Show. All around the mixtape is good music and definately somethin’ to chill to. 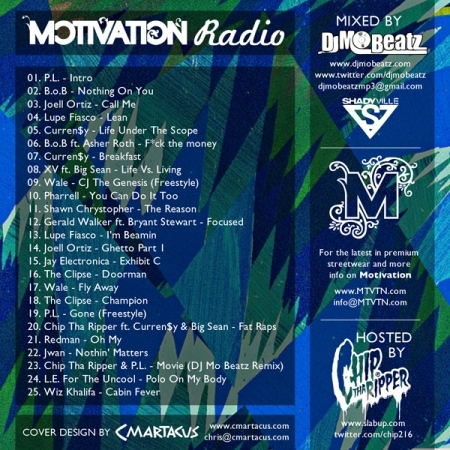 It also has some features from fellow freshman rappers Curren$y and Big Sean. Basically to make a long story short, this is something you need to download. 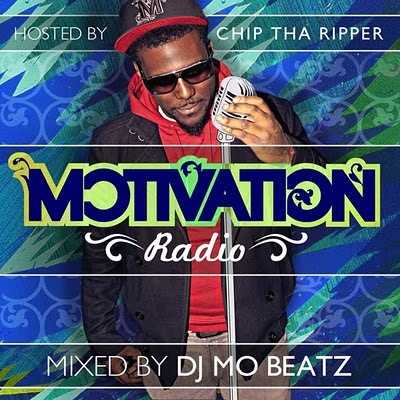 Chip’s Mixtape comes out later on today… Everybody grab that..